Cleaning apartment buildings and condominium complexes to keep your renters happy and walk-ins attracted, Midwest Janitorial Specialists, Inc has been making property manager’s lives easier for 9 years. Finding a quality commercial cleaning company that can keep the common areas of your apartment building spotless, and making sure the apartments are move-in ready in a timely manner can be a challenge. With Midwest Janitorial Specialists, Inc, it never has to be! Here at Midwest Janitorial Specialists, Inc, we know that the importance of maintaining a positive image in the competitive rental market. 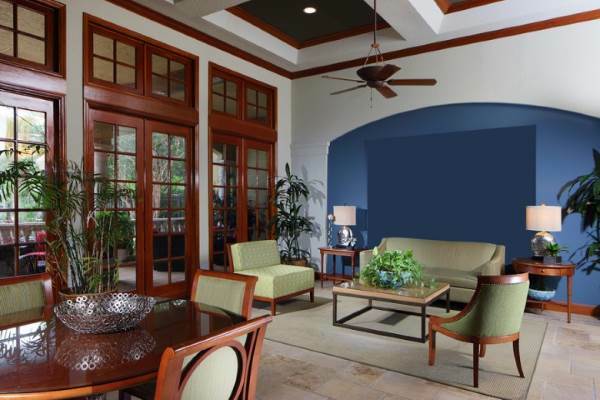 With lots of foot traffic in the common areas, and the hectic day-to-day operations of an apartment building or condo complex, everything requires a lot of attention. Midwest Janitorial Specialists, Inc will help you keep your complex building full of shiny floors, stainless carpets, spotless windows and mirrors, and one that is properly sanitized. From the moment someone walk into the perfectly kept lobby, into the doors of their new home-sweet-home, they will be confident they'll always come home to clean. Priding ourselves on communication and building solid relationships with our clients since 2010, Midwest Janitorial Specialists, Inc will customize a cleaning schedule based on your apartment building needs with our low cost, high quality services. Managing an apartment complex and the needs of your tenants is difficult enough without adding the worry of keeping the building clean. You need Midwest Janitorial Specialists, Inc - a trained and insured commercial cleaning company who will take care of your apartment building's image, and who believes in comprehensive cleaning. Need a commercial cleaning company who will provide reliable and professional building care for your apartment or condo complex? Midwest Janitorial Specialists, Inc is only one call away! Call (630) 273-7233 today for a free commercial cleaning quote.